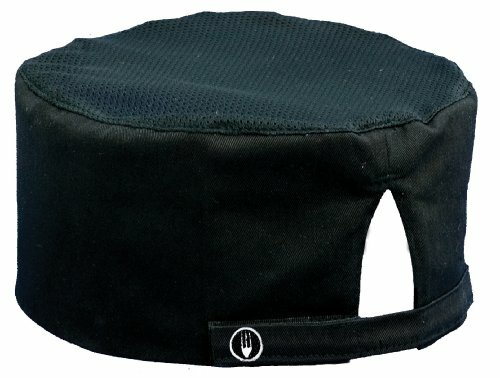 The black CoolVentTM beanie features the Chef Works famous CoolVentTM technology on top with a poly/cotton base as well as an adjustable Velcro closure. Chef Works is the world's most trusted chef clothing brand. Chef Works uniforms, including chef jackets, chef coats, kitchen shirts and chef pants can be found in top hotels like Hilton, Marriot, Ritz-Carlton and Starwood, P.F. Chang's and California Pizza Kitchen restaurants, as well as culinary schools like Le Cordon Bleu and The Art Institute. One size fits most.